With rose gold as one of the trendiest colors lately, it can be no surprise that rose gold hair has become a popular style. However, a color trend once reserved only for blondes has become a complete game changer with dark rose gold hair. Brunettes of every shade from caramel to mocha can embrace this fabulous new look that adds dimension and warmth to darker hair shades. Dark rose gold hair, or rose brown hair as it is sometimes called, creates depth and allows the tones of your natural hair color to capture and reflect light in the most brilliant way. 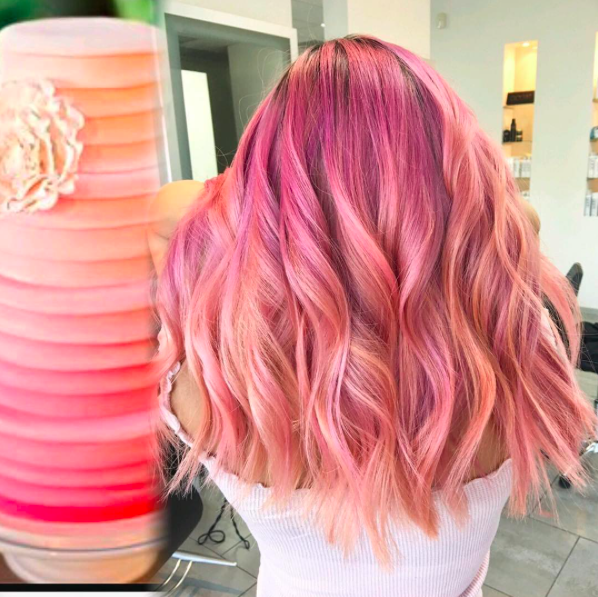 If you are intrigued by this stunning new color trend, read on to learn everything you need to know to capture this gorgeous look yourself. While nearly any shade of rose brown hair you choose will look fabulous, some guidelines can help give you a look that suits your coloring the best. 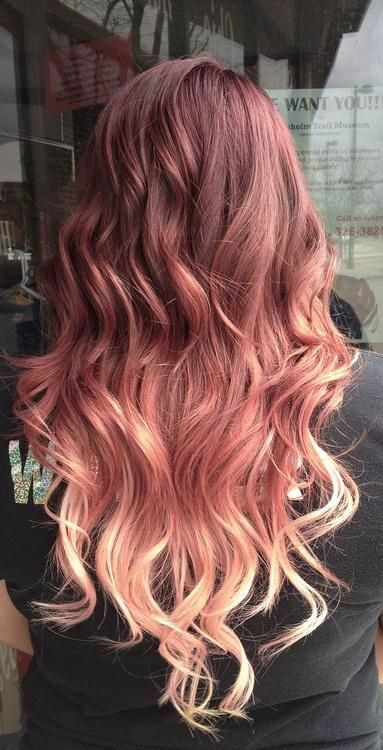 For women with darker shades of brown hair, it is entirely possible to achieve this gorgeous dark rose gold hair. The best way is to create a rose gold ombre hair look by focusing on the ends of your hair, layering rose gold-brown tones onto your lighter ends. For color that will absolutely pop, choose shades of raspberry and deep magenta. Choosing a hair color with cooler undertones will help to avoid any redness and brassy orange that might plague brunette shades. Stylists recommend keeping your natural brown roots and plenty of your natural color in the base of your hair, mixing gorgeous lightened strands throughout. It’s best to use the natural reds and coppers of your hair color as the base of your dark rose gold hair. Keeping more of a balayage look is a way to achieve a gorgeous rose brown look without the need to bleach your whole head. If you want to avoid bleaching your hair completely, then this subtle balayage look is the one for you. If you’re looking for the best hair color for your skin tone, follow these basic rules. People with warm undertones to their skin can go for colors like pinks, peaches, and yellow golds. A cooler take on rose gold uses a pink that is somewhat lavender to work with more ashy hair and skin tones. 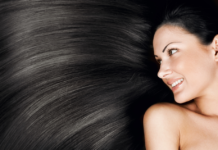 Once you’ve found the perfect shade for you, it is important to choose a stylist with plenty of experience. You do not want to risk damaging your natural hair, so do plenty of research and pick a salon that has a good reputation. Armed with your rose brown hair inspiration, visit the salon and let them help you achieve those gorgeous rose gold locks. If you’re worried that this rose brown hair look may be damaging to your locks, you can rest easy. Many hair stylists say that this look is not at all bad for your hair since you are not lightening drastically. 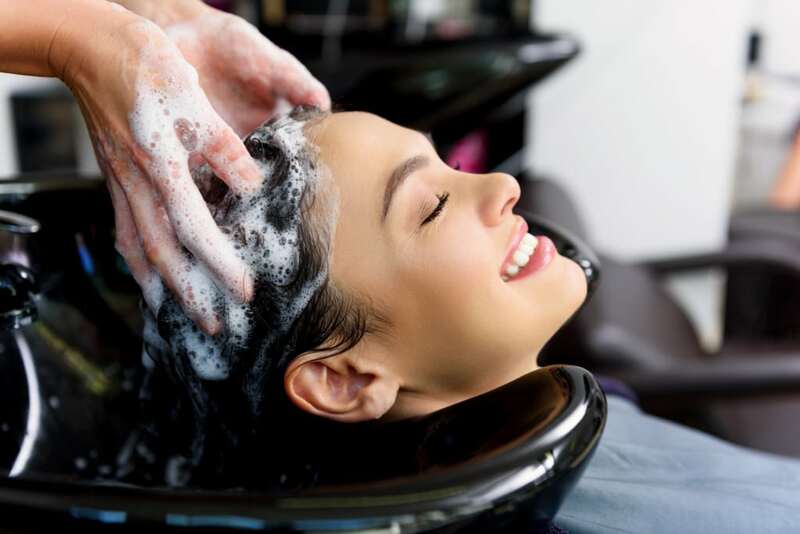 Many professional salons also use coloring products that help to condition your hair. 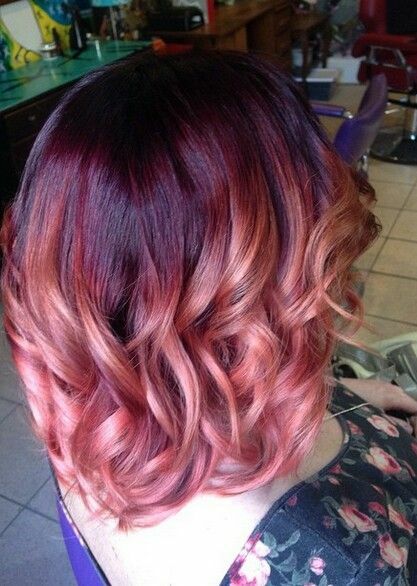 Plus, the gorgeous red tints of this dark rose gold hair trend reflect light well, giving your hair a warm shine. Once you’ve had your hair done, it is essential to maintain the shade for as long as possible. Use shampoo that is safe for colored hair and sulfate free. There are many color preserving shampoos available. 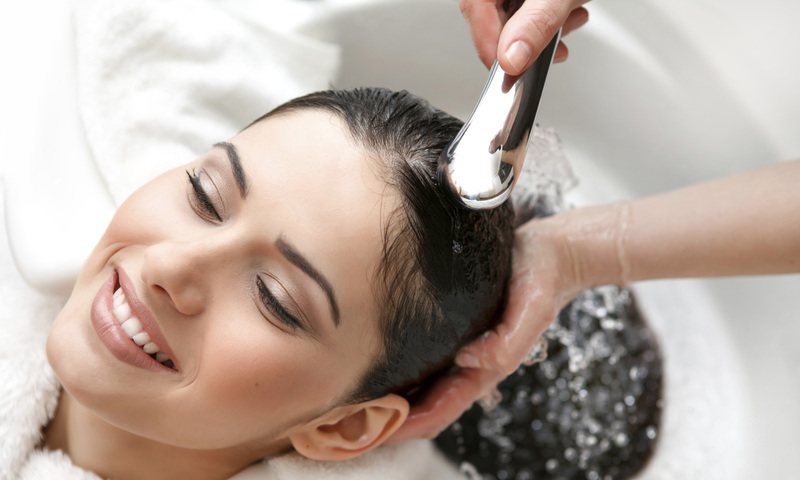 One of the best things to do for your hair is to avoid shampooing too often. Give your hair a break from washing it as much as possible, using dry shampoo to help keep your hair from becoming too greasy. 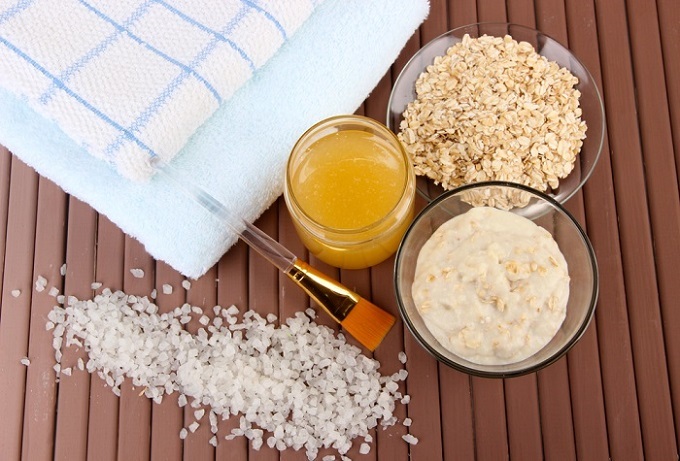 Nourish your hair with masks and deep conditioning treatments to help repair any damage that color might do. 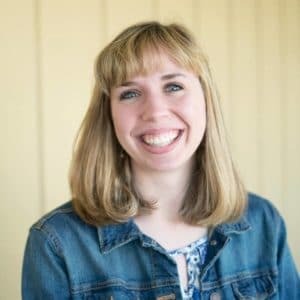 While everyone has different fashion sense, there are some tips and tricks that can help you choose colors and styles that will complement your new rose gold hair. Be careful with reds and oranges, which can overpower the shade of your hair. There are many shades of red and orange, so you don’t need to avoid them altogether, just be sure you’re choosing those that complement. You cannot go wrong with neutrals and darker colors. They will highlight your rose brown hair, making it the focus of any look. 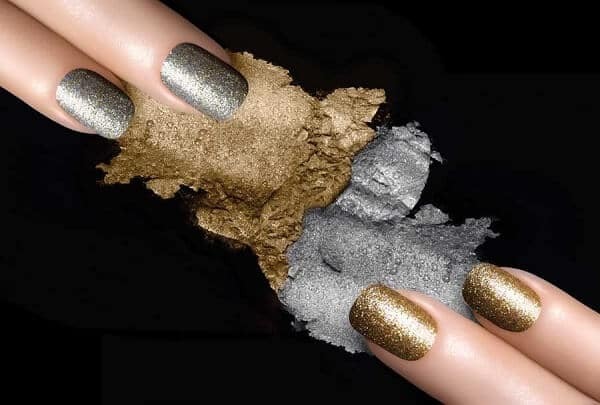 Choose metallic shades that match your hair. You’re not limited to just rose gold accessories. Silver can look great with cooler rose gold tones, while certain brighter shades will be highlighted with gold and copper accessories. Makeup is another tool you can use to play up the effects that the dark rose gold hair color will have on your skin. Play with a highlighter, using it wherever sun would naturally hit your face. By highlighting your features, you draw on the natural highlighting qualities of rose gold hair. Use a rosier, softer blush. 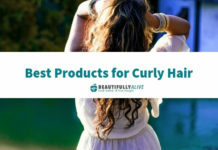 Not only will it balance out your makeup, but it will help to complement the tones in your hair. Choosing eyeshadow and lip colors in shades of mauves and purples will look gorgeous with cooler-toned shades of rose gold hair, while peaches and pinks will balance beautifully with warmer tones. Armed with all of this knowledge on how to achieve the perfect rose brown shade and how to care for your locks, check out the stunning pics below. Use these gorgeous locks as inspiration for your own rose gold hair and enjoy all the fabulous style choices. These pictures make it clear that these trending hair colors are diverse and versatile. No matter your natural hair color or style, there is a dark rose gold look for you. This rose gold hair with dark roots is absolutely stunning. 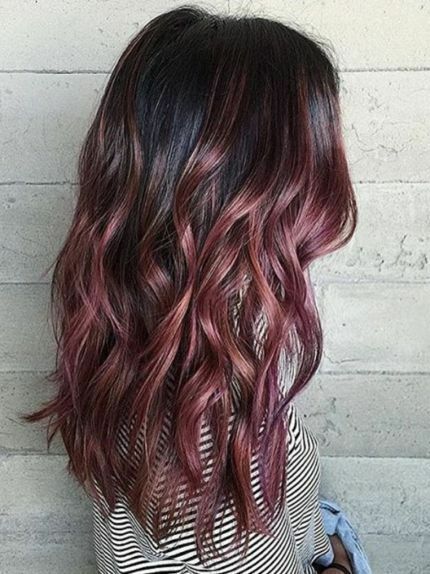 We love this perfect mix of the black roots with the rose gold tips. For hair that is on the darker side, playing with pinks, reds, and blondes in this way gives the hair dimension and shine without unnecessary damage. This look embraces both the dark roots of a natural brunette while really drawing all the color possible from a rose gold hue. 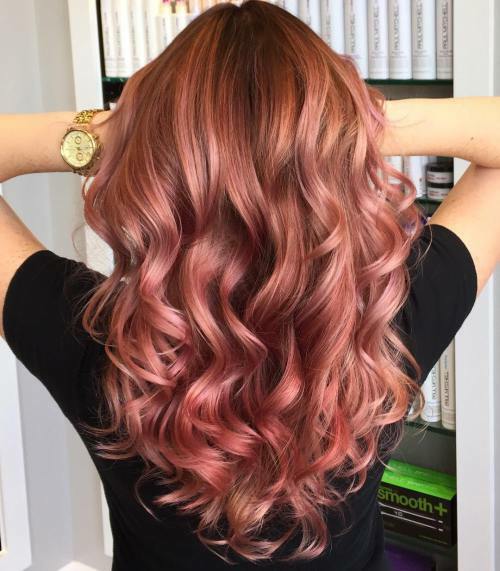 The blended rose gold with the reverse ombre effect is a stunning look. Spiraling the rose gold all the way to the roots blends the natural reddish tint with the rose gold in an irresistible way. These stunning curls also really capitalize on the color, drawing the eye upward. 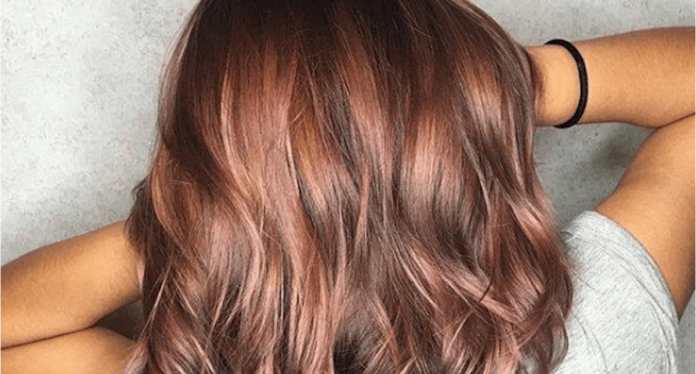 If you absolutely love this rose brown hair color trend, but are afraid of a full commitment to the style, this look may be the perfect one for you. The magenta highlights in this look is a great way to try out the style on darker hair without jumping in completely. The painted balayage helps to make the rose gold highlights noticeable while still maintaining the color of the natural hair. Styling with curls helps to emphasize this fabulous look and give your hair that stunning shine. This auburn hair with highlights falls into the red family of the dark rose gold hair spectrum. Moving away from the pinks, this shade falls into the orange and peach family. While it may not be as traditional as some of the other rose brown styles, this look is still just as gorgeous. There is another benefit to this style. For women with naturally reddish tints in their hair, this style will grow out very nicely. This is the ideal low-maintenance look that seems like it’s anything but. This rose brown look is a stunning mix of reds, violets, and purple rose tones. If you want to embrace a range of color in your look, then this is the style for you. 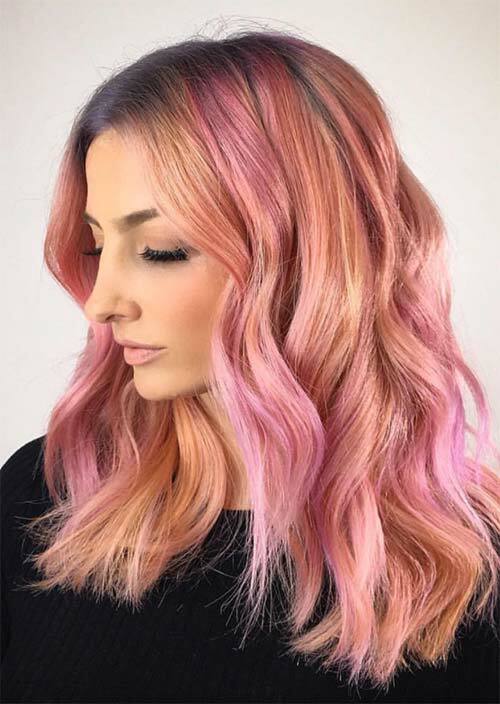 Even with shorter locks, this style manages to pull off a gorgeous ombre look, taking the hair from dark raven roots all the way to summer-ready lavenders and pinks. The dramatic switch from dark to light in this look draws the eye in and makes this a show-stopping look. While this style may not be for the faint of heart, you cannot help but appreciate its stunning and eye-catching qualities. This dreamy look is for the girl who is fully committed to the rose brown trend. The peaches and pinks of this look play off of each other nicely, creating a color that is feminine and flirty. With just a touch of roots showing, this style showcases the highlights and lets the hair speak for itself. 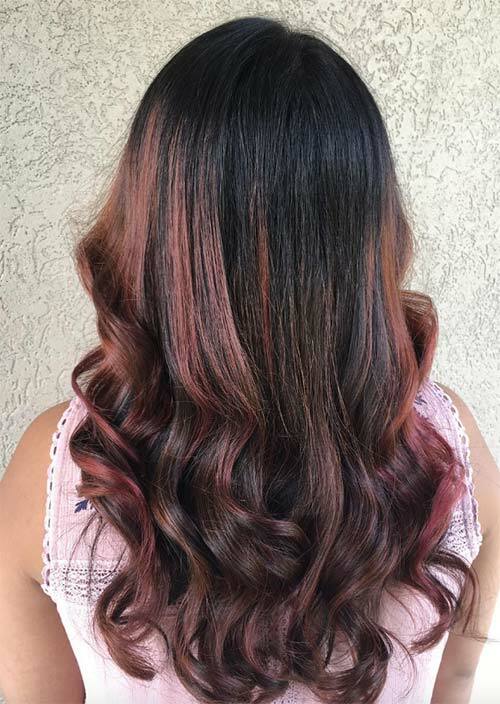 These vivid colors show just how mesmerizing the dark rose gold hair color can be. No matter how you play around with this dark rose gold hair trend, you will capture the magic of the look in all its shimmer and shine. Meet with a hairstylist today to discover the color and style that will work well for you. Armed with this inspiration, you are sure to find a look that is fabulous. Next articleHow Many Cardio Workouts a Month Does a Weight Loss Program Need?